Opponents of women’s leadership in church chalked up another significant victory this week. After seeing off the prospect of Women Bishops in the Church of England, news has come in that Bristol University has joined the fray as it’s Christian Union (BUCU) banned women from preaching or teaching at its events. But there has been disquiet among some who are still worried that BUCU is going wooly. There have been suggestions that a woman may speak if she is accompanied by her husband and they teach together – a dangerous compromise according to some. Others are less impressed – and have described this decision as obscene, hugely discriminatory, deeply offensive, and sexist. 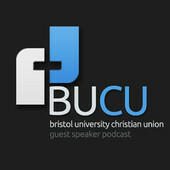 There have been suggestions that that if the Christian Union wants to be so forthright in their stand against women, they should change their name from the ‘Bristol University Christian Union (BUCU) to the ‘Forthright University Christian Union.’ (FUCU). Rumours that conservatives responded to this by saying ‘Amen’ have been strongly denied. But elsewhere in Bristol this week, a very different message has been agreed. Bristol Diocesan Synod has passed a vote of ‘no confidence’ in the General Synod’s ability to enact ‘the clear will of the church’ on Women Bishops, pointing out that 42 of the 44 Dioceses of the Church of England voted clearly in favour of women’s leadership.